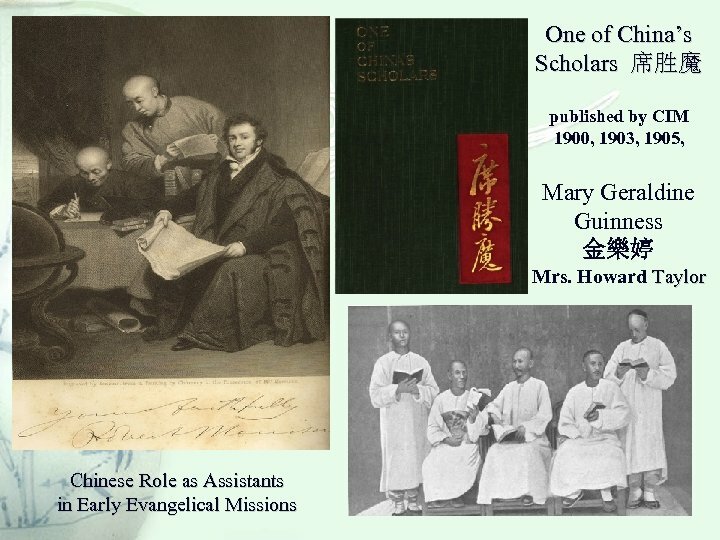 Six Indigenous Evangelists Mary Stone 石美玉 (1873 -1954), founder of Bethel Hospital and Bethel School in Shanghai. 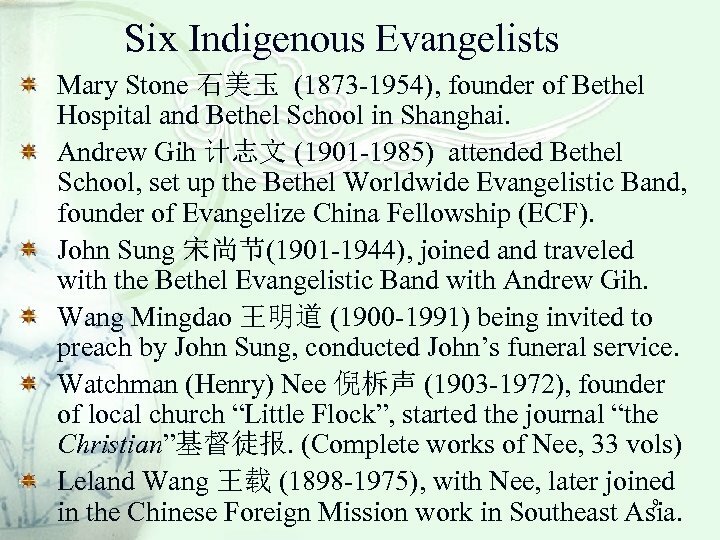 Andrew Gih 计志文 (1901 -1985) attended Bethel School, set up the Bethel Worldwide Evangelistic Band, founder of Evangelize China Fellowship (ECF). 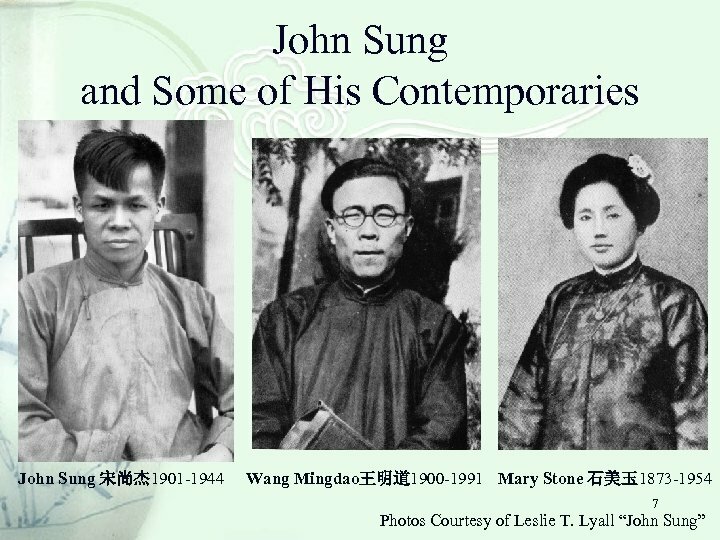 John Sung 宋尚节(1901 -1944), joined and traveled with the Bethel Evangelistic Band with Andrew Gih. 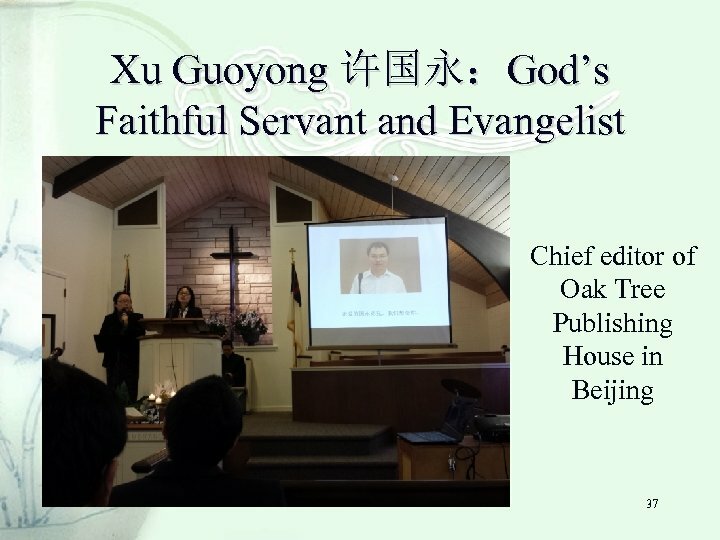 Wang Mingdao 王明道 (1900 -1991) being invited to preach by John Sung, conducted John’s funeral service. 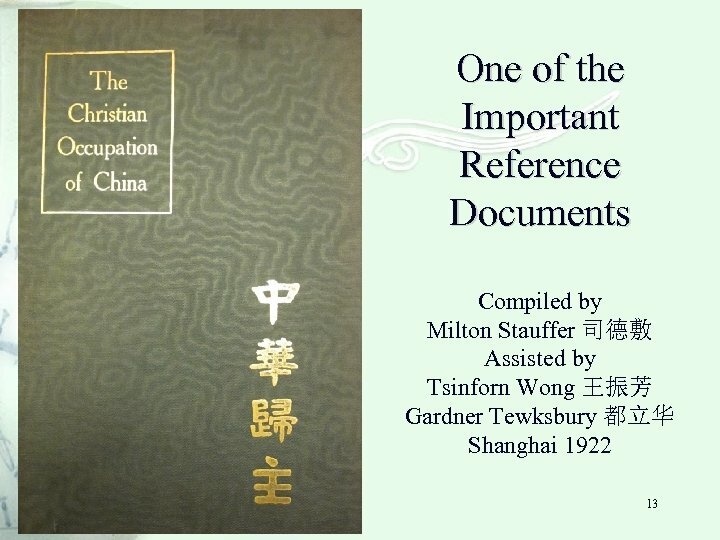 Watchman (Henry) Nee 倪柝声 (1903 -1972), founder of local church “Little Flock”, started the journal “the Christian”基督徒报. 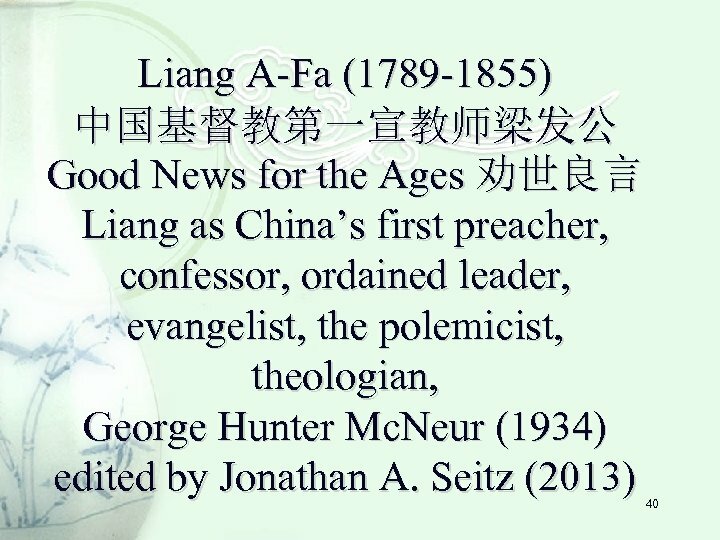 (Complete works of Nee, 33 vols) Leland Wang 王载 (1898 -1975), with Nee, later joined 9 in the Chinese Foreign Mission work in Southeast Asia. 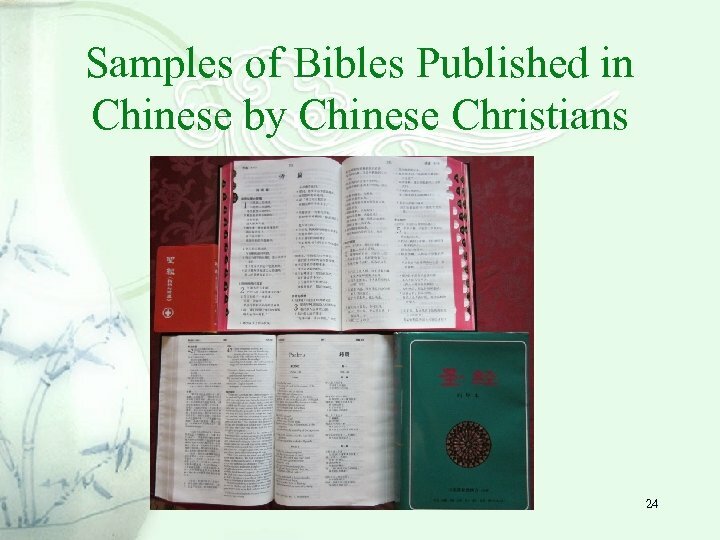 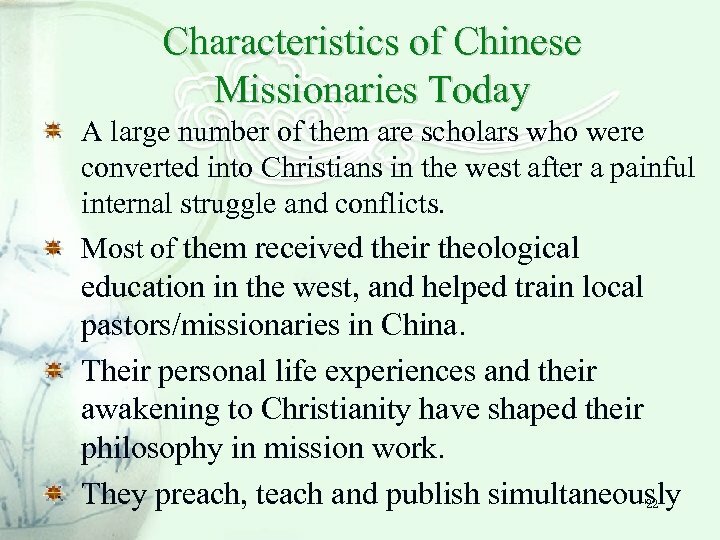 Common Traits of these Evangelists They longed to develop a pattern of Christian life based on the faith in Jesus Christ unique to Chinese culture and society. 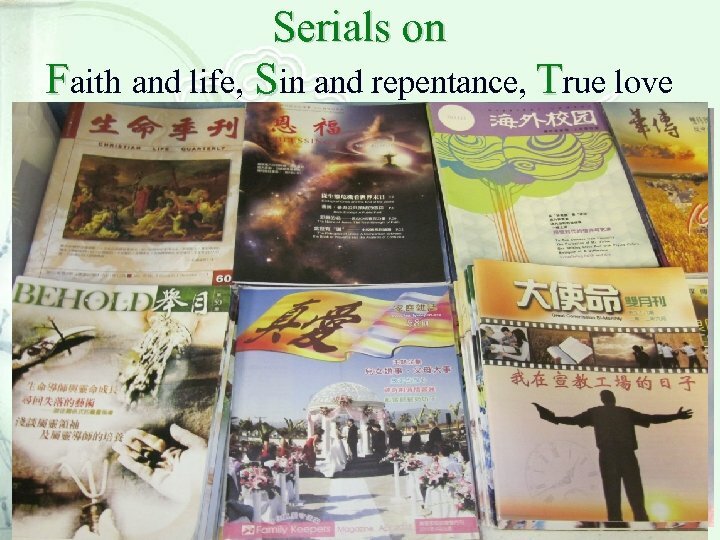 They preached about sin and repentance, not as highly theoretically as academic theologians would do, but with their own life experiences. 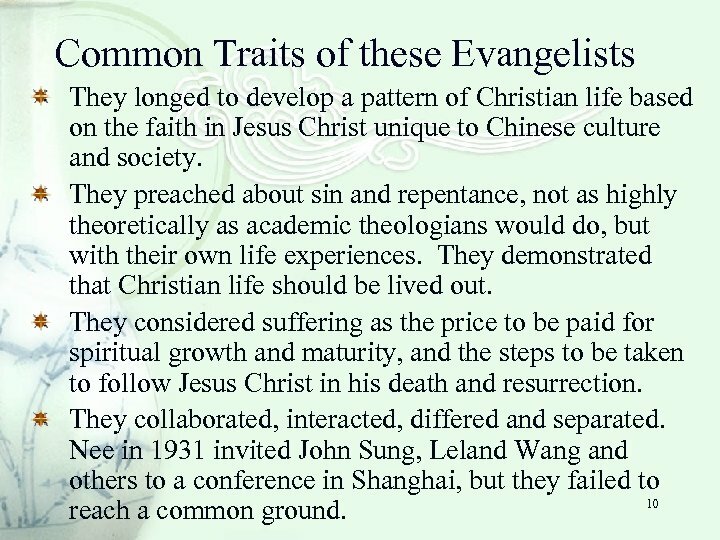 They demonstrated that Christian life should be lived out. 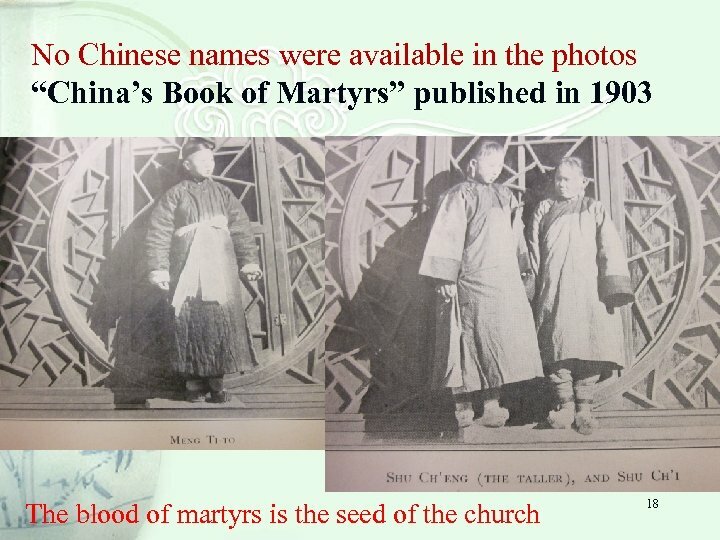 They considered suffering as the price to be paid for spiritual growth and maturity, and the steps to be taken to follow Jesus Christ in his death and resurrection. 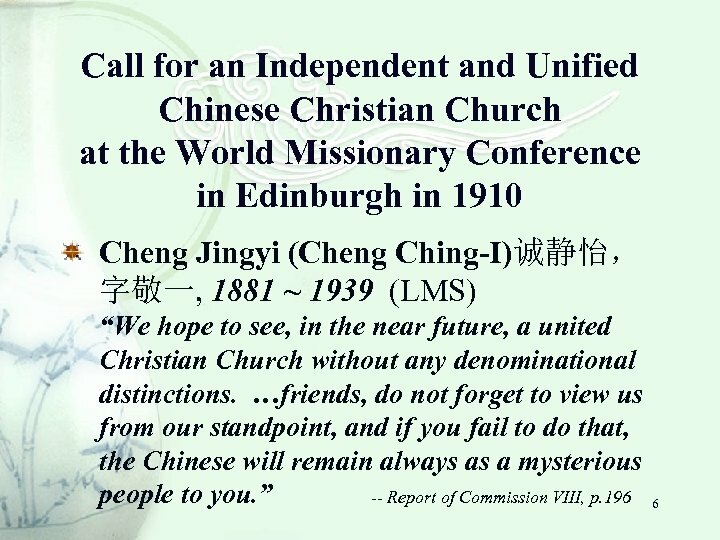 They collaborated, interacted, differed and separated. 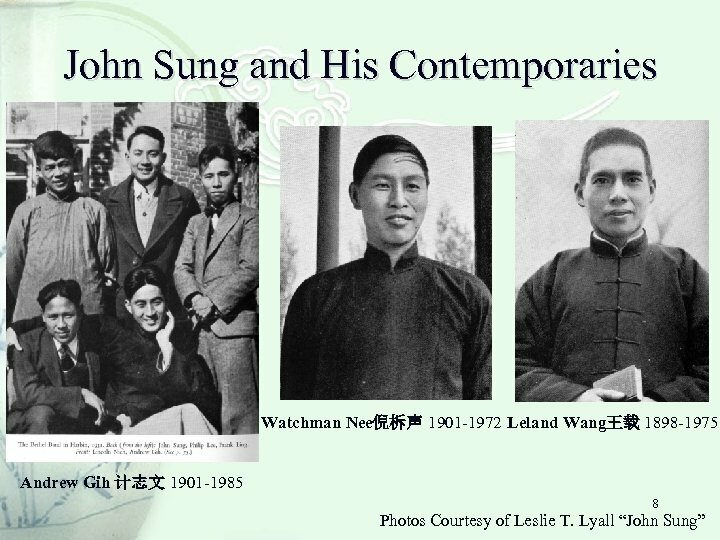 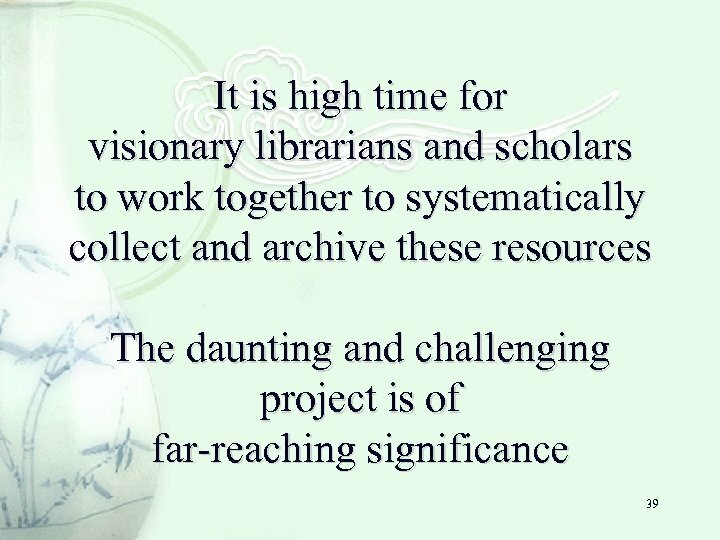 Nee in 1931 invited John Sung, Leland Wang and others to a conference in Shanghai, but they failed to 10 reach a common ground. 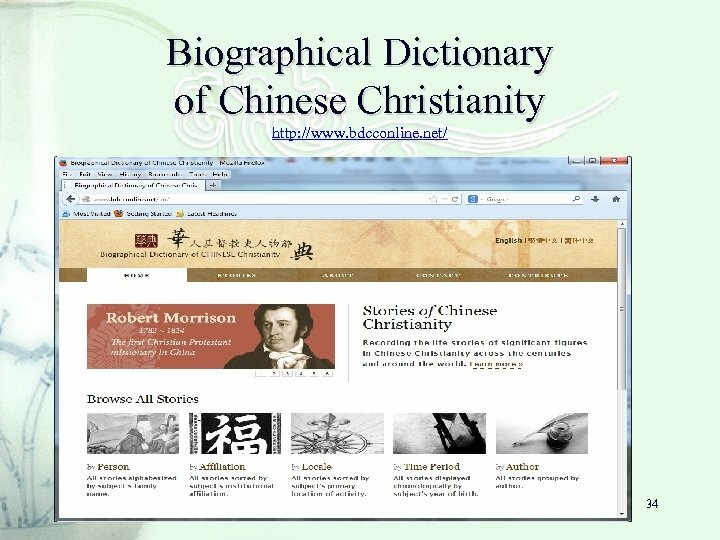 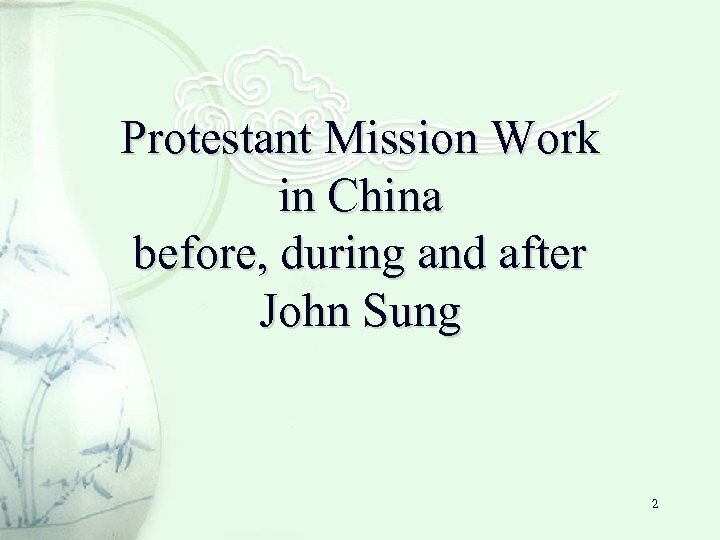 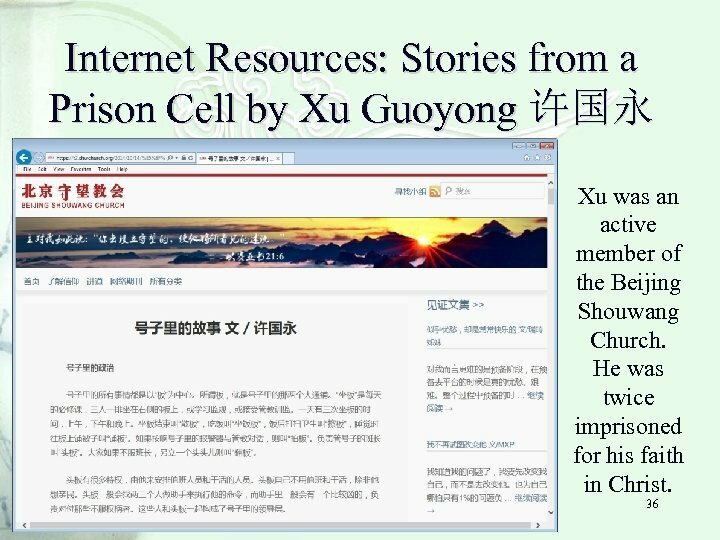 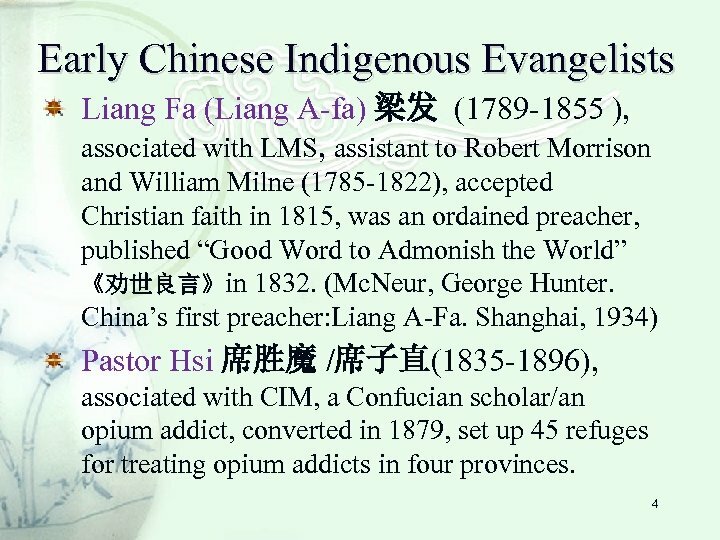 Challenges Early resources written in English by foreign missionaries often had English variations of names for the same Chinese persons or places coined by individual writers. 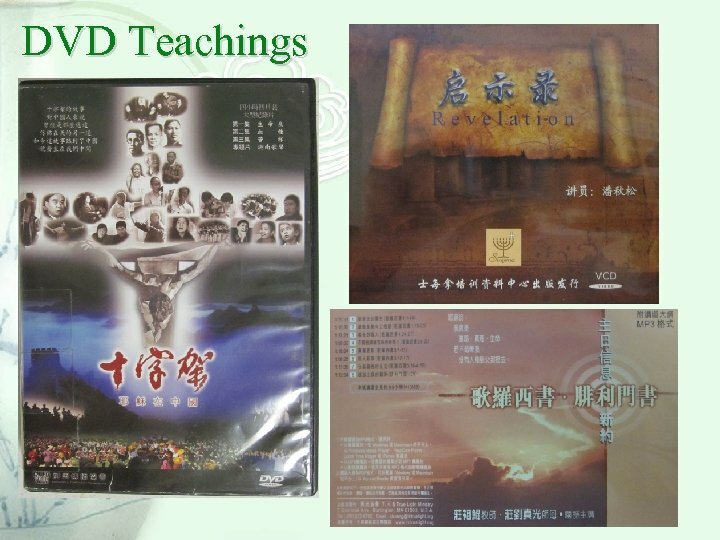 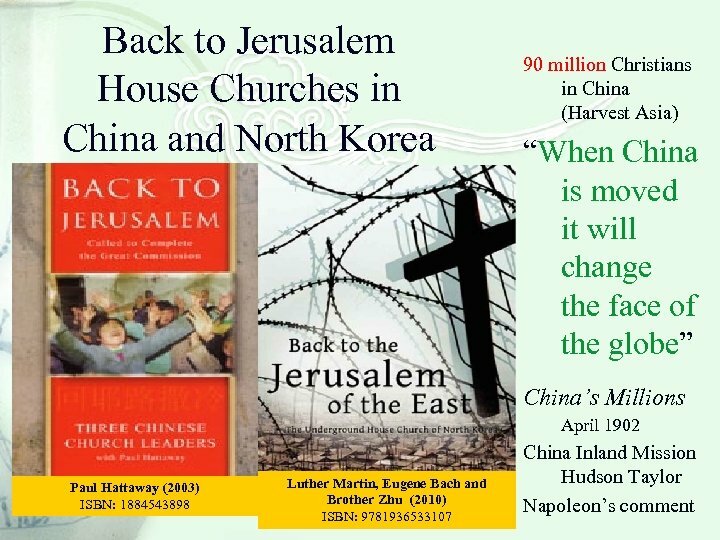 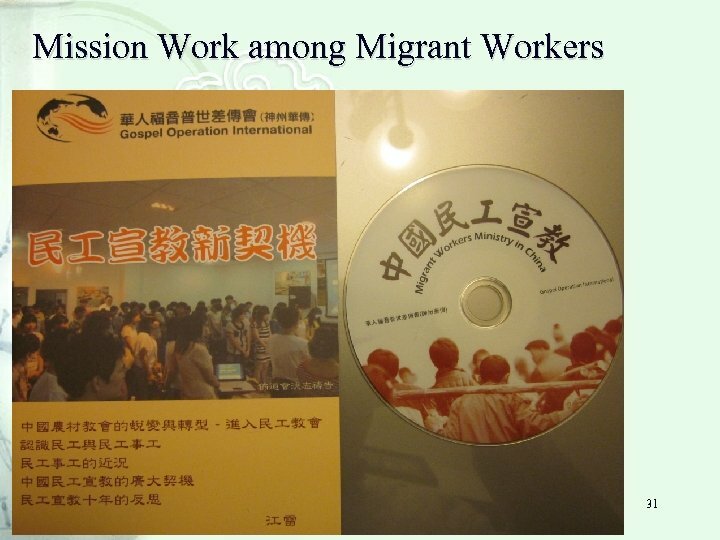 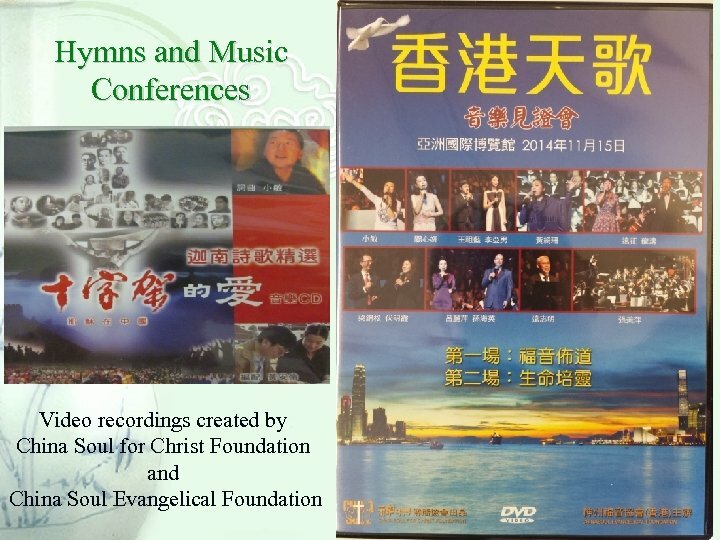 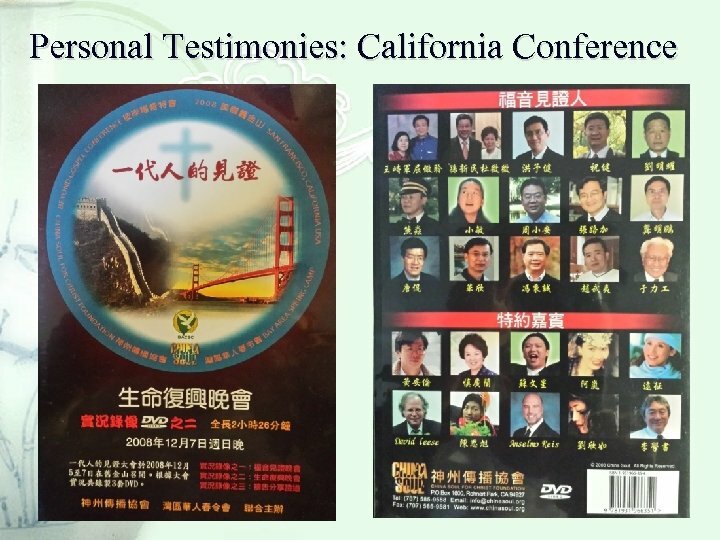 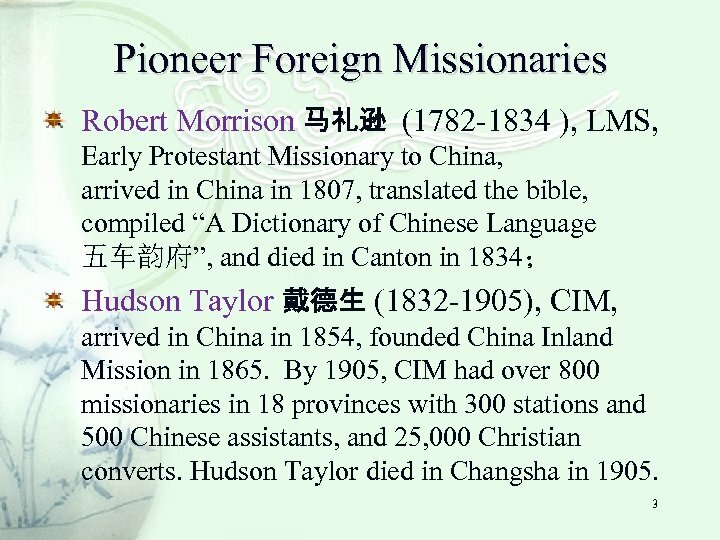 Not much information on converted passionate Chinese Christian missionaries. 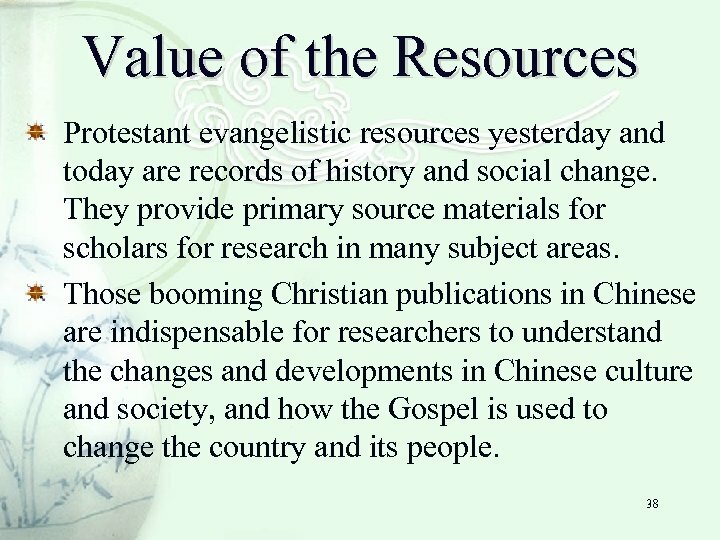 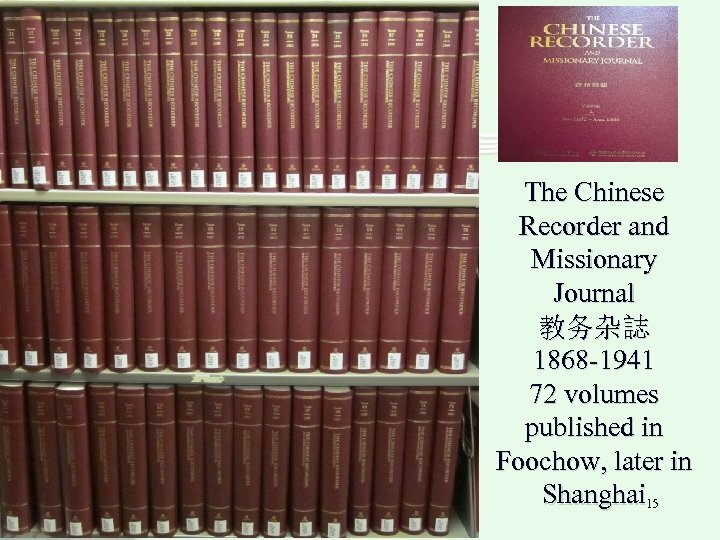 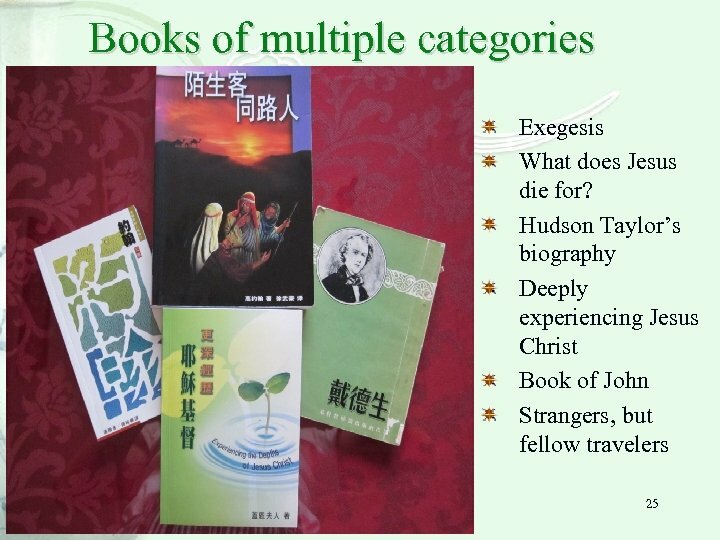 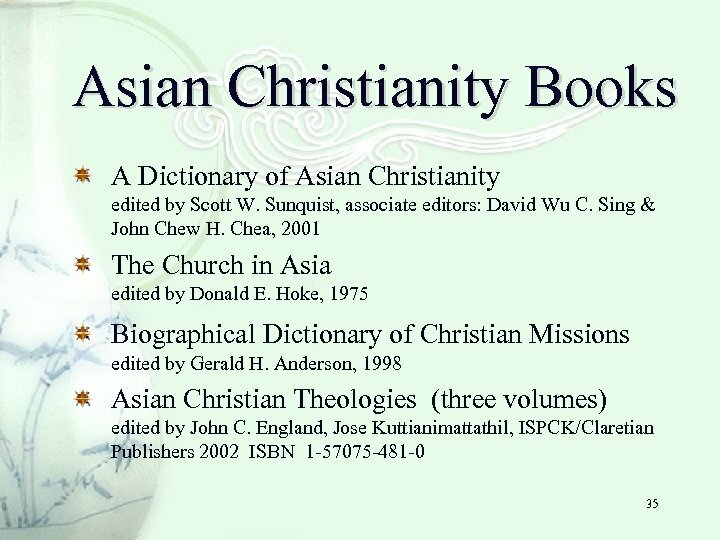 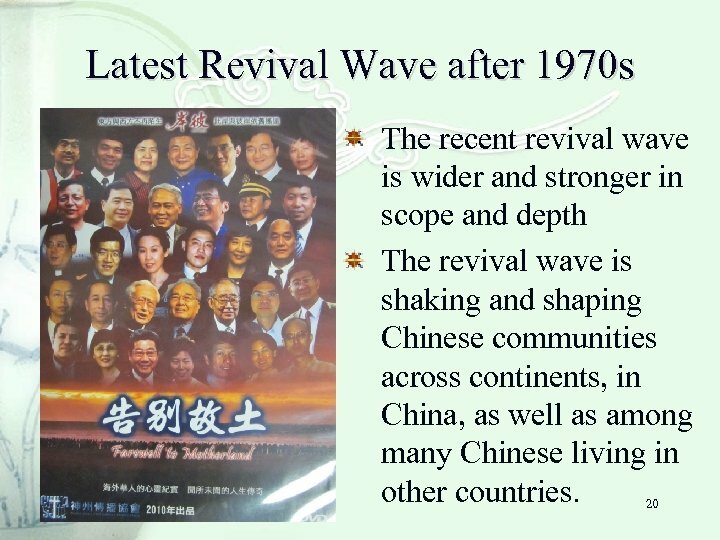 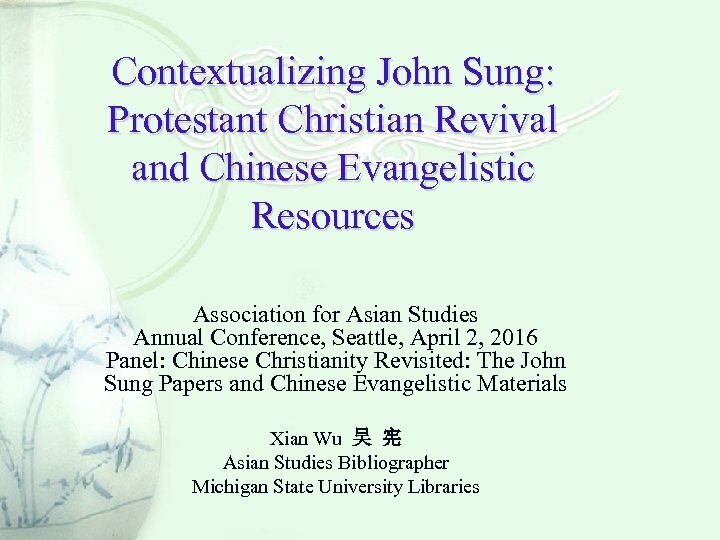 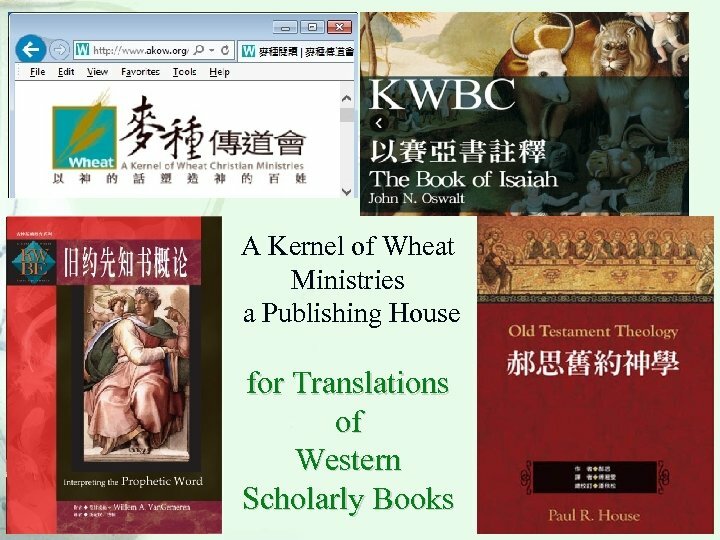 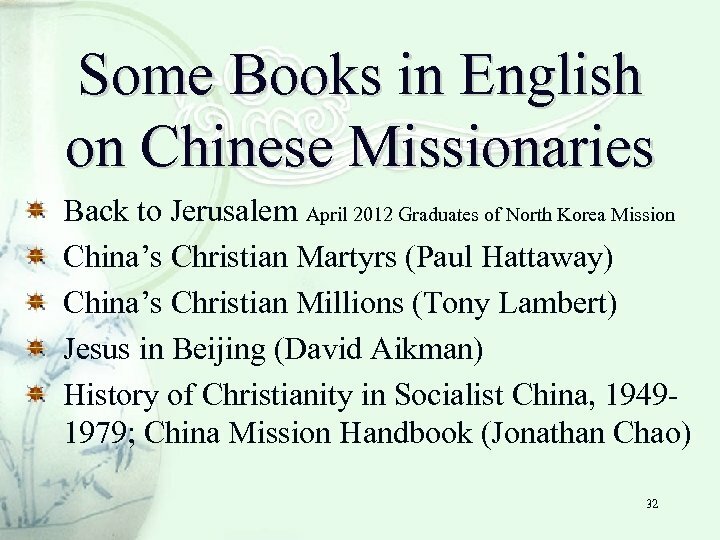 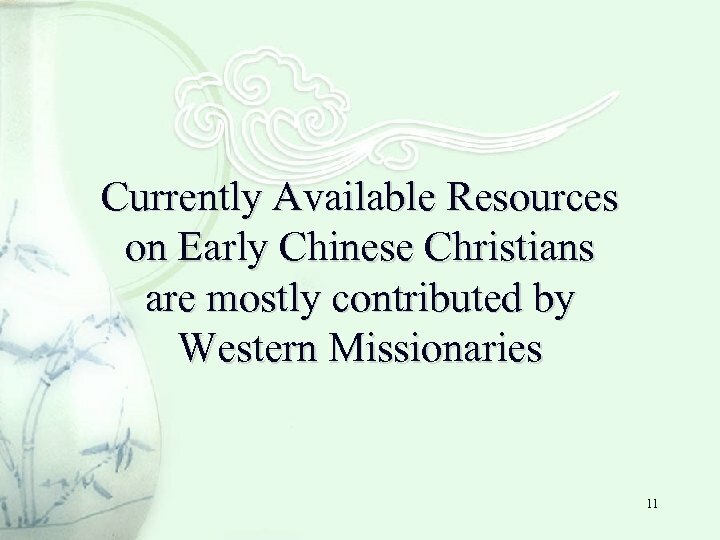 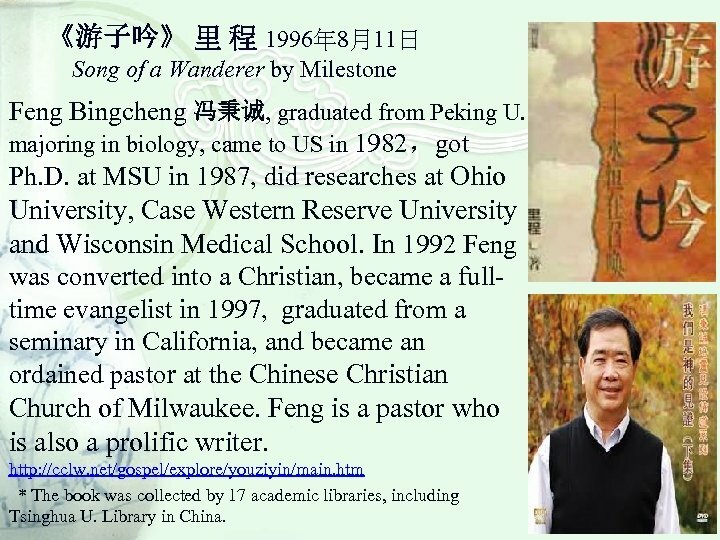 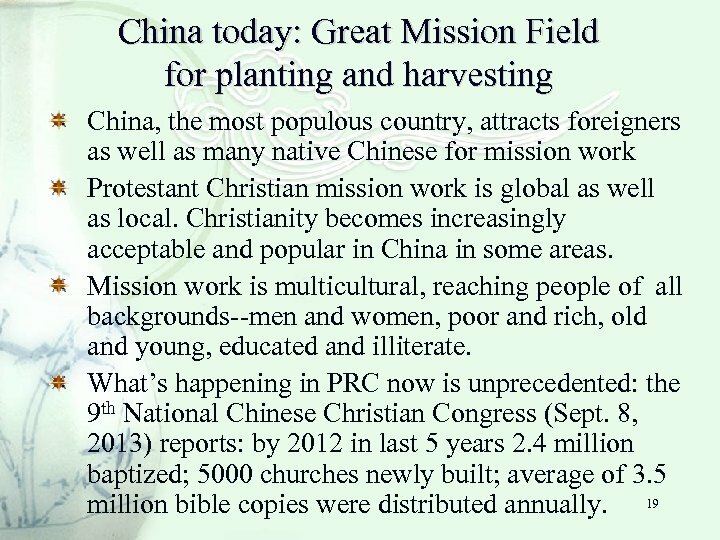 The limited number of books on Chinese pastors/missionaries were also largely written by foreign missionaries. 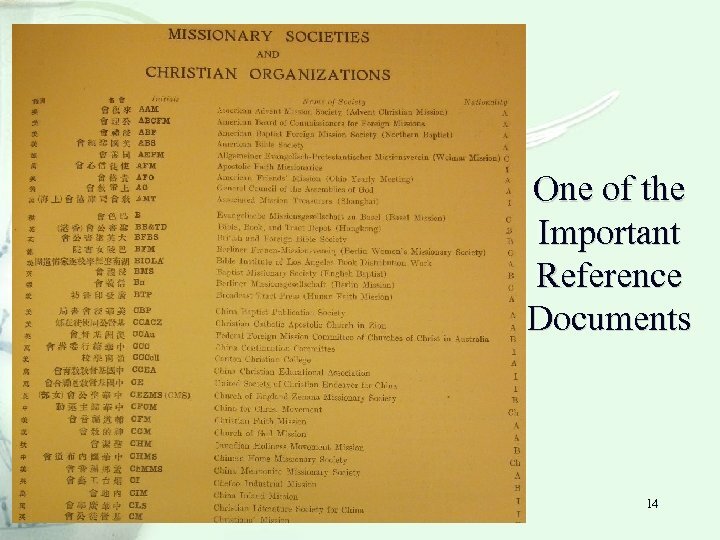 There were little information on women missionaries. 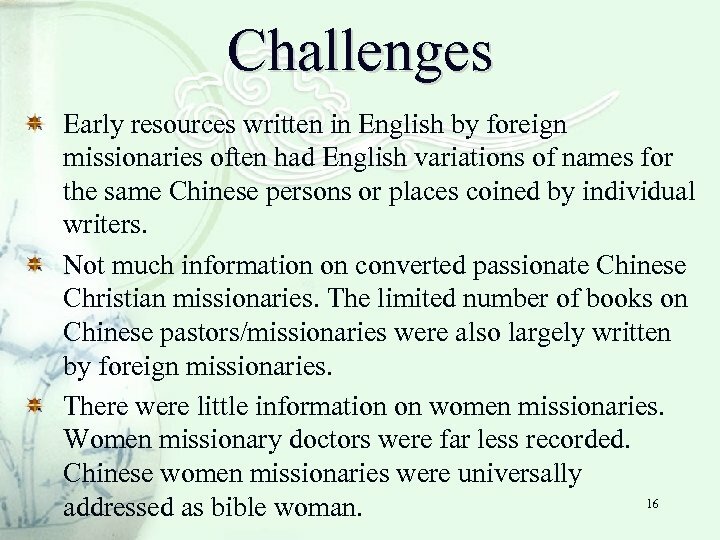 Women missionary doctors were far less recorded. 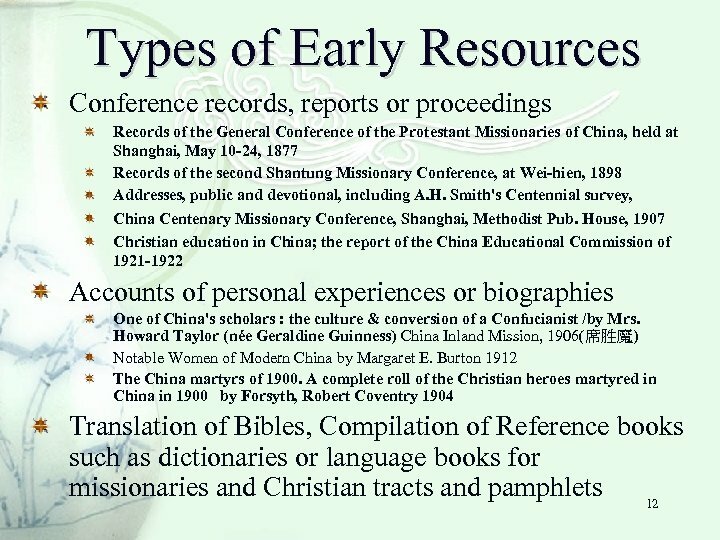 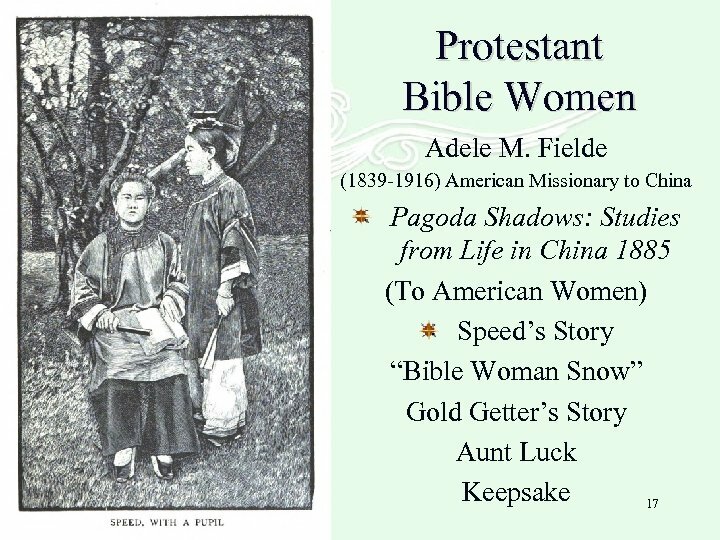 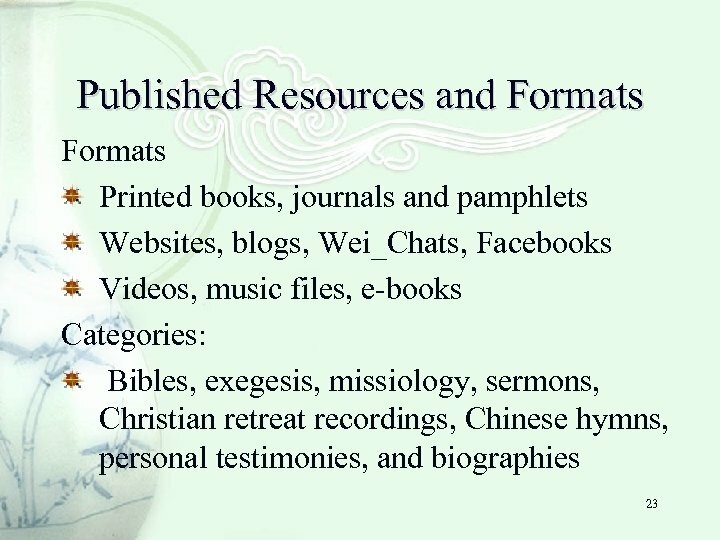 Chinese women missionaries were universally 16 addressed as bible woman.